On behalf of Admin of JML Law, A Professional Law Corporation posted in Wage Fraud on Thursday, Aug 02 2018. The unemployment rate is currently at record low levels, which is a great thing. More and more people are able to find jobs that let them support themselves and their families. Unfortunately, sometimes employees are not treated fairly when it comes to their salary. Wage fraud is a serious crime in California and at JML Law, we believe employees have the right to fair pay. You may have missed it, but a California drywall company was recently charged almost $2 million for wage theft violations. Fullerton Pacific Interiors was cited because they failed to pay 476 employees on 26 different construction projects over a period of two years. The court found that the company failed to provide required rest periods, paid less than minimum wage, and did not pay required overtime. Minimum Wage – Employers must pay the required minimum wage to their employees. Overtime – Overtime must be paid if an employee works more than 8 hours in any workday or more than 40 hours in a workweek. Overtime pay is one and one-half times the regular pay rate. There are exemptions for certain employers. Business Expenses – If you pay expenses out of pocket that are required for you to do your job appropriately, then your employer must reimburse you. Rest and Meal Time – Workers are allowed paid rest periods. If those rest periods re not provided, they must be compensated appropriately. Working for a company that commits wage fraud is difficult and employees may be afraid to complain out of fear of losing their job. We understand that. Your job is your livelihood and often people have nowhere else to turn for employment. Minorities are at particular risk for wage fraud abuses, particularly immigrants. We want you to know that California has taken steps to protect immigrants, including unauthorized immigrant workers, from wage fraud. The bottom line is that employers need to be held accountable when they take advantage of their employees. Everyone has the right to fair treatment in the workplace regardless of their race, ethnicity, gender, or other factors. Wage fraud is an attempt to get work for free and is illegal. 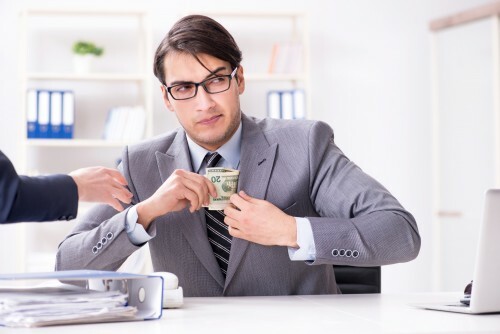 If you think you need a wage fraud attorney in Los Angeles, JML Law is ready to help. Our attorneys believe that everyone has the right to fair compensation and that businesses that violate the law should be held accountable. People in California depend on their jobs to support themselves and their families. Every hour worked counts, which is why it can be detrimental when an employer pays unfair wages or refuses to pay employees for the time they work. Don’t be afraid to stand up for your rights. With our experienced attorneys by your side, you can be heard. You can contact us by clicking here or calling us at 818-610-8800 for a free consultation.